These applicators used to prep the lashes before the lash extension service in conjunction with the Lash Primer. 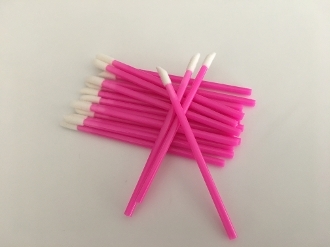 This is the perfect size and very soft as not to tug on the eyelashes while removing eye make-up, causing discomfort. Excellent to recommend to your clients as an added on retail item to use at home to remove eyeliner and eyeshaddow.